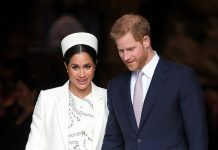 MEGHAN Markle has joined her new husband Prince Harry and his grandmother, the Queen, for a day of racing at Royal Ascot today. 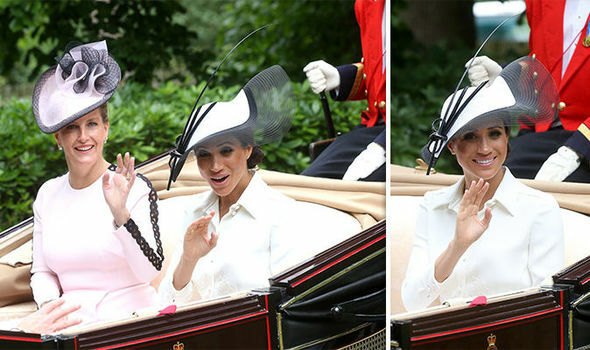 The new Duchess of Sussex looked stunning in a flamboyant black and white hat and a white coat as she waved to crowds alongside Sophie, Countess of Wessex. 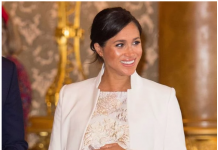 Meghan and her new husband Prince Harry received a rapturous welcome from Royal Ascot when they joined the Queen a pectacular carriage procession with the monarch at its head, signals the start of each day of the event. 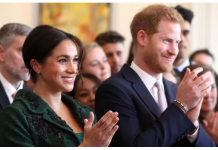 Meghan and Harry will present the winning trophy for the 4.20pm race, the St James’ Palace Stakes, said the official Royal Ascot programme. 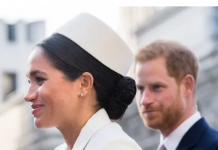 Just four weeks after marrying, Harry and Meghan enjoyed the sights and sounds of a quintessential English summer event – a day at the races. Thousands of racegoers cheered and applauded from the stands as the Queen’s carriage led the procession down the course. 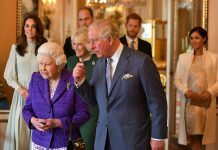 The Queen’s decision to invite her grandson and his new wife shows Meghan has well and truly been welcomed into the Firm. 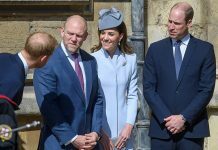 It is the first time the Duke and Duchess of Sussex have attended the famous sporting event.